My favorite cooking blog posted a pumpkin recipe recently and I had to try it. 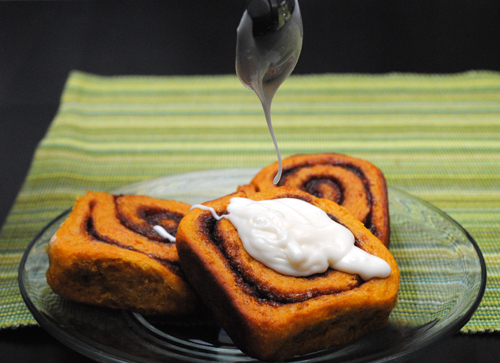 The result was very good, but the cinnamon competed with the pumpkin. Next time I will dial back the cinnamon. Recipe link included below.